With over 5.5 million photos in their archives, the oldest foundation in the world still active in the field of photography has made sure that the students of our M.A. in Museum Studies will go home with quite the unique hands-on experience. As part of their “Museums and the Public II” class they got to curate a virtual exhibition from start to finish on a theme of their choice. 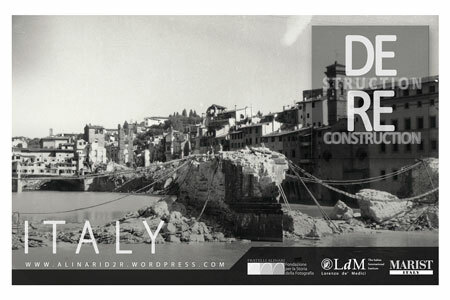 Title of this year’s exhibition is Destruction, Reconstruction: Threats to Mediterranean Cultural Heritage and has been divided into four primary categories: Syria, Libya, Italy and Egypt. Focus lies on the destruction of cultural heritage sites, its impact on the environment, the community and the lack of tourism to these sites as a result of the devastation from natural attacks as well as exterior attacks. In contrast, the areas that have been able to rebound and restore their cultural sites are the focus of the reconstruction portion of the exhibit and are hailed as hopeful counterparts to the destruction previously incurred.